One of the biggest video game events of 2001 was undoubtedly the launch of Sid Meier’s Civilization III, one of the best strategy games released that year without question. 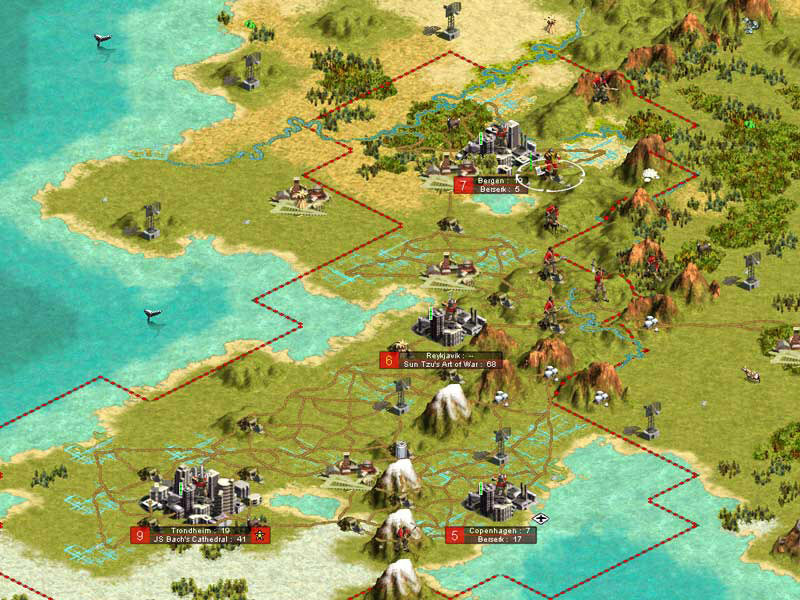 This sequel to the 1996 hit Civilization II not only featured improved graphics, but for the first time ever gave each civilization in the game specific advantages and a unique unit to play with. The Romans had their mighty legions, while the Indian civilization could put the fear of God into their enemies with their war elephants. Also, the concept of “national borders” popped into a Civilization game for the first time, meaning those pesky enemy civs would no longer settle in your territory without this leading to war. And culture also appeared as a game concept in Civilization III for the first time, giving you a way to take over enemy cities without resorting to violence, which was quite an innovative thing in a strategy game back in 2001. Another plus was the way civ leaders appeared dressed in clothes appropriate for the time period you were currently in in the game, a nice touch which I hope makes it to a future Civilization game someday. Of course, Civilization III is showing its age nowadays, and the game did have its drawbacks such as the fact that strategic resources needed to build certain units were sometimes not widely available depending on the map you got to play on. But still, those eager to give this olden goldie a go can now do so for free, as the Humble Store is giving away the game for free during the next two days. So, this means you will be able to get a copy of Sid Meier’s Civilization III: Complete until 10:00 AM PT on October 21 by hopping over to the Humble Store. You’ll get a Steam key once you complete the checkout process which you can (obviously) redeem on Steam in order to play one of the finest Civilization games released to date. This is not the only Civilization-related development this month though, as developer Firaxis recently announced that the Fall patch for their latest game Civilization VI is now live, a patch that makes quite a few improvements to how religion works in the game. Also, a new civilization and scenario pack has been released for the game, which contains two new civs for the game: Indonesia and the Khmer, which are quite different from those already featured in Civilization VI. It’s been a good month for fans of Firaxis’ Civilization games then, and hopefully Firaxis will keep putting out new content for their latest Civilization game in the near future. For the time being, though, you can still grab a free copy of Civilization III from the Humble Store before the free offer expires on October 21.